Our Software is quite different from the traditional CRM, Our Customizable software is integrated by our experts after getting a deep understanding of your business process. T3 CRM offers advantages such as providing the best customer experience, along with convenience in accessing information and documents as and when required. We offer Customized CRM solutions in Saudi Arabia for retail,manufacturing,healthcare and banking sector as well.And our fully customizable CRM solutions is being used by most of the resturants and food chains in Saudi Arabia. In Saudi Arabia, CRM software market is exhibiting significant growth. 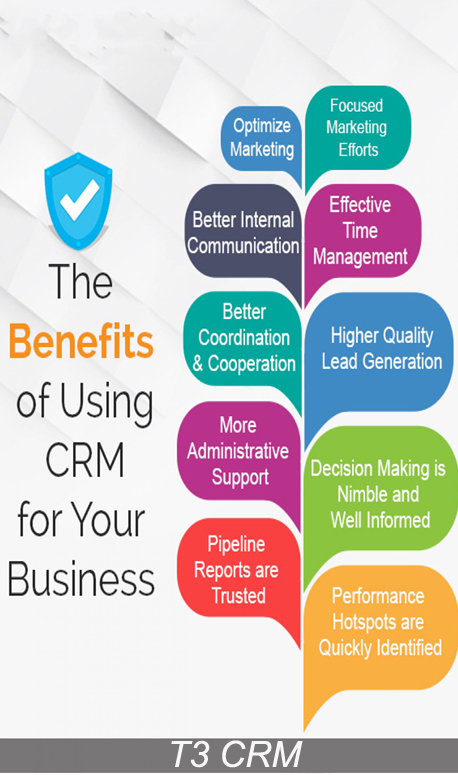 CRM software is used for various applications like customer service, marketing, and sales, to help businesses manage customer data.T3 CRM offers enhance customer experience which connects with next generation of apps,customers and device which provides an instant connection to your accounts,leads,contacts and other relevant business information.